Guwahati’s own Purabi Dairy has launched two newlassiflavours , sweet and Mango on Monday at Hotel Lily, Khanapara, Guwahati. The Purabi is owned by The West Assam Milk Producers’ Co- operative Union Limited (Wamul). The Minister of Cooperation and Public Health Engineering Rihon Daimary launched the new products. These two new lassi flavours will be available in 200ml cups and is priced at Rs 15 for the sweet and Rs 20 for the mango. Lassi is probiotic, which helps reduce cholesterol, improve metabolism and helps the intestine absorb nutrients easily, officials of Purabi informed. 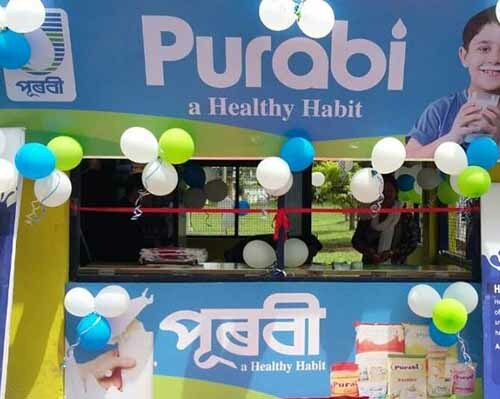 Purabi procures milk from nearly 200 village-based milk producer institutions and dairy co-operatives in Kamrup, Morigaon, Nagaon, Barpeta and Nalbari districts, covering more than 5,000 farmers. The dairy is now selling over 60,000 litres of packed liquid milk and milk products daily.